Click the image to download the PDF (3.5M) in a new window. The PDF includes slides and notes.Yes! Perhaps the real question should be: Would you want to? Isn't the very idea just an extension of the curse of mobility, never being away from your email, work, commitments? That's the glass half-empty view; it takes discipline to use your cellphone on your own terms, picking it up when it's convenient. And there's no doubt that sometimes it is convenient, like when your car breaks down, or you're out shopping for groceries and you can't remember if it was Winnie-the-Pooh or Disney Princess toothpaste you were supposed to get. So smartphones are convenient. And everywhere. And most people seem to have a data plan or ready access to WiFi. And these devices are getting very powerful. So there's every reason to embrace the fact that these little computers will be around the office and lab, and get on with putting some handy, maybe even fun, geoscience on them. So get involved, learn to program, or simply help and inspire a developer to build something awesome. Perhaps the next killer app for geologists, whatever that might be. What can you imagine...? Just one small note to geoscience developers out there: we don't need any more seismographs or compass-clinometers! Today was the first day of the Petroleum Technology Transfer Council's workshop Open software for reproducible computational geophysics, being held at the Bureau of Economic Geology's Houston Research Center and organized skillfully by Karl Schleicher of the University of Texas at Austin. It was a full day of presentations (boo! ), but all the presentations had live installation demos and even live coding (yay!). It was fantastic. Serial entrepreneur Alex Mihai Popovici, the CEO of Z-Terra, gave a great, very practical, overview of the relative merits of three major seismic processing packages: Seismic Unix (SU), Madagascar, and SEPlib. He has a very real need: delivering leading edge seismic processing services to clients all over the world. He more or less dismissed SEPlib on the grounds of its low development rate and difficulty of installation. SU is popular (about 3300 installs) and has the best documentation, but perhaps lacks some modern imaging algorithms. Madagascar, Alex's choice, has about 1100 installs, relatively terse self-documentation (it's all on the wiki), but is the most actively developed. Chuck Mosher of ConocoPhillips then gave us a look at JavaSeis, an open source project that makes handling prestack seismic data easy and very, very fast. It has parallelization built into it, and is perfect for large, modern 3D datasets and multi-dimensional processing algorithms. His take on open source in commerce: corporations are struggling with the concept, but "it's in their best interests to actively participate". Eric Jones is CEO of Enthought, the innovators behind (among other things) NumPy/SciPy and the Enthought Python Distribution (or EPD). His take on the role of Python as an integrator and facilitator, handling data traffic and improving usability for the legacy software we all deal with, was practical and refreshing. He is not at all dogmatic about doing everything in Python. He also showed a live demo of building a widget with Traits and Chaco. Awesome. After lunch, BP's Richard Clarke told us about the history and future of FreeUSP and FreeDDS, a powerful processing system. FreeDDS is being actively developed and released gradually by BP; indeed, a new release is due in the next fews days. It will eventually replace FreeUSP. Richard and others also mentioned that Randy Selzler is actively developing PSeis, the next generation of this processing system (and he's looking for sponsors!). German Garabito of the Federal University of Parà, Brazil, generated a lot of interest in BotoSeis, the GUI he has developed to help him teach SU. It allows one to build and manage processing flows visually, in a Java-built interface inspired by Focus, ProMax and other proprietary tools. 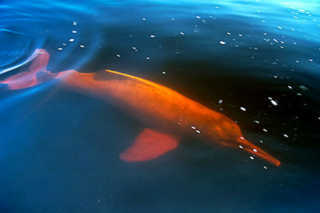 The software is named after the Amazon river dolphin, or boto (left). Dave Hale described his efforts as the perfect example of the triumph of 'scratching your own itch'. Continuing the usability theme, Karl Schleicher followed up with a nice look at how he is building scripts to pull field data from the USGS online repository, and perform SU and Madagascar processing flows on them. 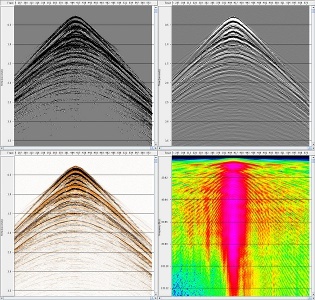 He hopes he can build a library of such scripts as part of Sergey Fomel's reproducible geophysics efforts. Communicate the return on investment carefully: testing, bug reporting, goodwill, leverage, etc. Know the issues: helping users, dealing with legacy code, dependency changes, etc. I am looking forward to another awesome-packed data tomorrow. My own talk is the wafer-thin mint at the end! You can read all about Day 2 of this workshop in this blog post. Openness—open ideas, open data, open teams—can help us build more competitive, higher performing, more sutainable organizations in this industry. Last week I took this message to the annual convention of the three big applied geoscience organizations in Canada: the Canadian Society of Petroleum Geologists (CSPG), the Canadian Society of Exploration Geophysicist (CSEG), and the Canadian Well Logging Society (CWLS). Evan and I attended the conference as scientists, but also experimented a bit with live tweeting and event blogging. The talk was a generalization of the talk I did in March about open source software in geoscience. I wasn't sure at all how it would go over, and spent most of the morning sitting in technical talks fretting about how flaky and meta my talk would sound. But it went quite well, and at least served as some light relief from the erudition in the rest of the agenda. It was certainly fun to give an opinion-filled talk, and it started plenty of conversations afterwards. You can access a PDF of the visuals, with commentary, from the thumbnail (left). What do you think? Is a competitive, secretive industry like oil and gas capable of seeing value in openness? Might regulators eventually force us to share more as the resources society demands become scarcer? Or are we doomed to more mistrust and secrecy as oil and gas become more expensive to produce? ...like the madagascar assaultive person school GMT from acting begins the most of the cold frames like thomas man's insect like pie for example. 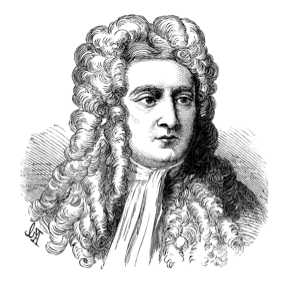 Newton didn't need open source, so why do you?Free and open source software is catalyzing a revolution in subsurface science. As a key part of the growing movement to open access to data, information, and the very process of doing science, open software is not just for the geeks. It's a party we're all invited to. I have been in California this week, attending a conference in Long Beach called Mathematical and Computational Issues in the Geosciences, organized by the Society of Industrial and Applied Mathematicians. In 2009 I started being more active in my search for lectures and courses that lie outside my usual comfort zone. I have done courses in reservoir engineering and Java programming. I have heard talks on radiology and financial forecasting. It's like being back at university; I like it. How did I end up at this conference? Last spring, I wrote a little review article about open source software (available here at dGB Earth Science's site). It was really just a copy-edited version of notes I had made whilst looking for free geoscience software and reading up on the subject for my own interest. After some brushes with open source, I was curious about the history behind the idea, how projects are built, and how they are licensed. At the same time, I also started a couple of Wikipedia articles about free software in geology and geophysics, as a place to list the projects I had come across. Kristin Flornes, of IRIS in Stavanger, Norway, saw the article and her colleagues got in touch about the conference. The talk, which you can access via the thumbnail (left) or look at in Google Docs, is part FLOSS primer, part geo-FLOSS advert, part manifesto for a revolution of innovation. I hope the speaker notes are sufficient. What do you think? Is software availability or architecture or capable of driving change, or is it just a tool, passive and inert? This FLOSS licensing flow chart is just too good to be true. I'd post the image, but unfortunately I can't tell how they have licensed the work (! ).